I married a man with 8 teenage to adult children who are all very independent. While they don't think so, I know they still need guidance. We When we got married the youngest was 13 and the oldest was 28 and had 3 kids of her own. It's a challenge to be a stepmom at that stage. They were/are very independent and It was just time for them to start making their own decisions and living with the choices, which is really hard for a parent, even a new stepparent. We only have one in the house now and I still worry and pray. 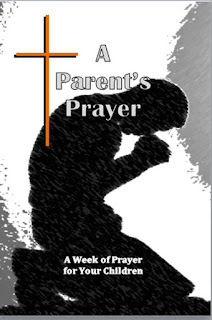 I've written prayers, created bookmarks, and even wrote a booklet for praying for your children for safety, wisdom, courage, integrity, faith, forgiveness, and guidance. Then, I was recently reading a book called Praying the Scriptures for Your Adult Children by Jodie Berndt and got a really great idea. She recommends choosing a Bible verse to pray for each of your children for a year and see how God works in their lives. You can do this by either buying a bunch of bookmarks (100 for about $11 on Amazon) or put them on post-its (I would get the 2x sticky ones) on your bathroom or bedroom mirror. You can even get colored tassels if you want! "Life can be difficult, happiness fleeting, relationships challenging, tragedy unexpected, and worldly success out of reach. Sometimes it's hard to know what to pray. Our kids will be happy if they follow their Lord. They will find purpose in his will. In him alone will they find true peace and joy. If they seek him, they will define success as he defines it; humility, obedience, compassion, and love."